Charles found other ways of raising money. Another scheme involved selling monopoly rights to businessmen. This meant that only one person had the right to distribute certain goods such as bricks, salt and soap. This policy was unpopular as it tended to increase the price of these goods. The struggle against the Ship Tax continued in the House of Commons. This was led by John Pym, a Puritan, who was a large landowner in Somerset. He was known for his anti-Catholic views and saw Parliament's role as safeguarding England against the influence of the Pope: "The high court of Parliament is the great eye of the kingdom, to find out offences and punish them". However, he believed that the king, who had married Henrietta Maria, a Catholic, was an obstacle to this process: "we are not secure enough at home in respect of the enemy at home which grows by the suspending of the laws at home". Charles did not have the money to pay the Scots and so he had to ask Parliament for help. The Parliament summoned in 1640 lasted for twenty years and is therefore usually known as The Long Parliament. This time Parliament was determined to restrict the powers of the king. The king's two senior advisers, William Laud and Thomas Wentworth were arrested and sent to the Tower of London. Attempts were made to negotiate an end to the conflict. On 25th July the king wrote to the vice-chancellor of Cambridge University inviting the colleges to assist him in his struggle. When they heard the news, the House of Commons sent Cromwell with 200 lightly armed countrymen to blocked the exit road from Cambridge. The king marched around the Midlands enlisting support before marching on London. It is estimated he had about 14,000 followers by the time he encountered the Parliamentary Army at Edgehill on 22nd October, 1642. Robert Devereux, the Earl of Essex, only had 3,000 cavalry against the 4,000, serving the king. He therefore decided to wait until the rest of his troops, who were a day's march behind, arrived. In August 1643, the Royalist army surrounded Gloucester but withdrew to avoid a confrontation when Robert Devereux, Earl of Essex, arrived the relieve the city. Royalist forces now moved to block the Parliamentary army's return to London. Charles with 8,000 foot soldiers and 6,000 cavalrymen, set up defensive positions to the west of Newbury. Prince Rupert was in command of the cavalry and Jacob Astley the infantry. I must let you know that I will not let any of my ministers be questioned by you... hasten my supply (taxes) or it will be worse for yourselves; for if any ill happen, I think I shall be the last to feel it. The soap monopoly, which promised the King £20,000 a year in the 1630s, was attacked not only because it doubled the price and its inferior product blistered the hands of the washerwomen, but because the monopolists were Catholics. (3) Pamphlet published in 1640. People are forced to purchase goods from a monopoly, at a dear rate... Witness the soap business. That your majesty's sacred person is exposed to hazard and danger in the present expedition against the Scottish army, and by occasion of this war your revenue is much wasted, your subjects burdened with coat-and-conduct money, billeting of soldiers, and other military charges, and divers rapines and disorders committed in several parts in this your realm, by the soldiers raised for that service, and your whole kingdom become full of fear and discontents. The sundry innovations in matters of religion, the oath and canons lately imposed upon the clergy and other your majesty's subjects. The great increase of popery, and employing of popish recusants, and others ill-affected to the religion by law established in places of power and trust, especially in commanding of men and arms both in the field and in sundry counties of this your realm, whereas by the laws they are not permitted to have arms in their own houses. The great mischiefs which may fall upon this kingdom if the intentions which have been credibly reported, of bringing in Irish and foreign forces, shall take effect. The urging of ship-money, and the prosecution of some sheriffs in the star chamber for not levying of it. The heavy charges of merchandise to the discouragement of trade, the multitude of monopolies, and other patents, whereby the commodities and manufactures of the kingdom are much burdened, to the great and universal grievance of your people. The great grief of your subjects by the long intermission of parliaments, in the late and former dissolving of such as have been called, without the hoped effects which otherwise they might have procured. For remedy whereof, and prevention of the dangers that may ensue to your royal person and to the whole state, they do in all humility and faithfulness beseech your most excellent majesty that you would be pleased to summon a parliament within some short and convenient time, whereby the causes of these and other great grievances which your people lie under may be taken away. (5) Diary entry of Henry Slingsby, a MP from Yorkshire (1642). 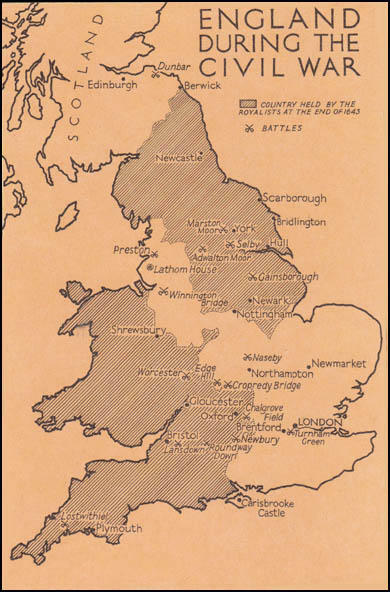 At the beginning of King Charles' reign it would never have crossed the mind of any Englishman that England could be governed in any other way than by a king... It is well to remember these things, because they prove to us how many and great must have been the faults which Charles committed to have driven the English people into open war against him. 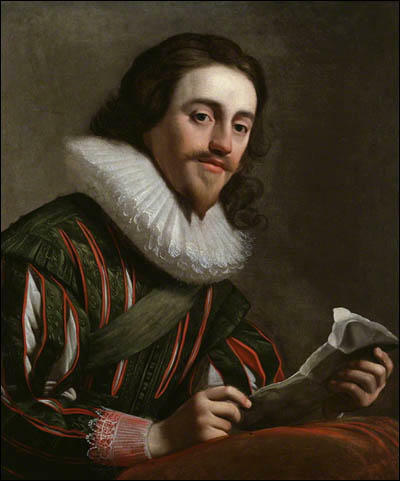 Charles I was an intelligent and well educated gentleman... His taste in literature and art was excellent, his manner dignified... his domestic life without blemish. 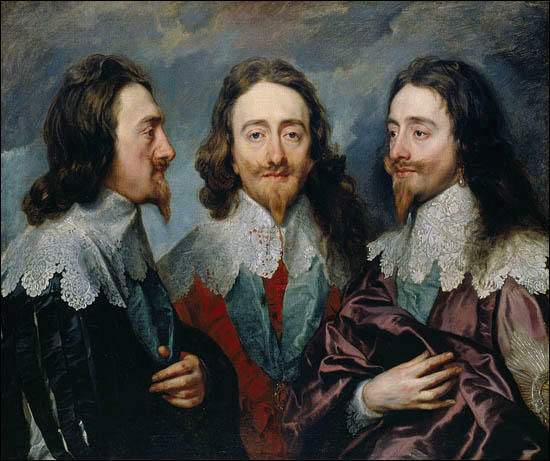 Charles managed to govern for eleven years without assembling Parliament. During this time he raised his revenues by illegal taxes, and imprisoned, without proper trial, the members of the House of Commons who had opposed him. 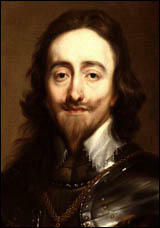 Charles I was a handsome man with cultivated tastes... but he was unfit for the position of king... He was too stupid and cold-hearted to understand or sympathise with the feelings of the people, and events were to prove that he was hopelessly obstinate, self-centred, and untrustworthy. Charles was an Anglican and because of his wife was inclined to tolerate the Roman Catholics; Parliament was Puritan and anti-Catholic... Parliament wanted, rightly or wrongly, a greater control of the government; Charles, rightly or wrongly, was unwilling to concede it. (11) Lucy Hutchinson wrote an account of Charles I's trial. Her husband John Hutchinson was one of those who signed the king's death warrant. His looks and gestures suggested that his only sorrow was that all the people that opposed him had not been killed... Mr. Hutchinson... addressed himself to God by prayer... God did not signal his favour towards the King...... it was therefore his duty to act as he did. 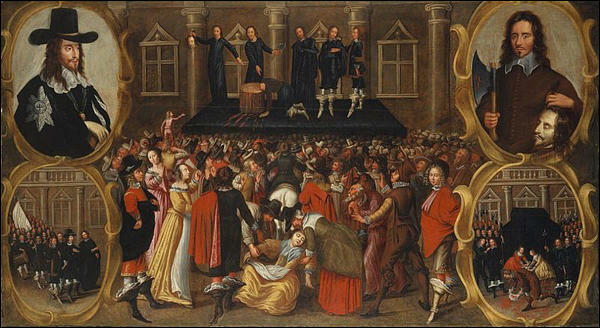 (12) Charles I made a short speech before he was executed. Later, the speech was printed in a news-sheet and distributed all over England. 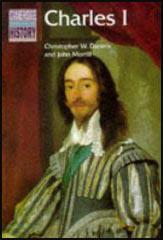 (14) Extract from a pamphlet on the execution of Charles I that was published soon after his execution. (15) John Rushworth was one of the fifteen men on the scaffold when Charles I was executed. Later he wrote an account of what happened.